In the months leading up to the British Cemetery ceremony, Ocracoke School’s principal selects four seniors who will participate in the event. Two are ushers who greet guests, assist with seating, and hand out programs. The other two are tasked with reading to the audience during the ceremony. One senior reads the history of HMT Bedfordshire and why there is a British Cemetery on Ocracoke, and the next reads the names and ages of the Royal Navy Patrol Service sailors who were killed when Bedfordshire was sunk. This year, Principal Leslie Cole selected Iris Trejo and Darvin Contreras to be the ushers, and Lupita Martinez and Liam Caswell to read during the ceremony. It’s been nice working with the four soon-to-be-high-school-graduates who’ve been practicing their parts and asking questions. I asked the students to tell us a little about themselves. Liam Caswell, son of Bill and Lisa Caswell, is a Senior at Ocracoke School. 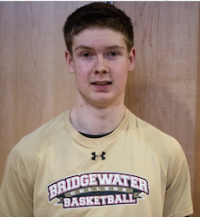 In the fall, Liam will be attending Bridgewater College to play basketball. Liam will be reading about the HMT Bedfordshire during the official military ceremony. Darvin Contreras is the son of Oscar Contreras and Lucila Uribe. 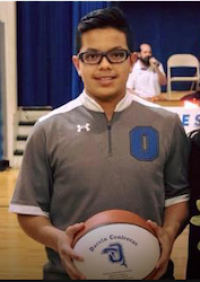 Next fall, he will be attending UNC-Chapel Hill where he intends to major in exercise and sports science. Darvin will be welcoming guests and passing out programs for the British Cemetery ceremony. 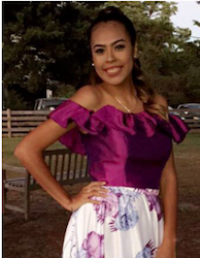 Lupita Martinez has attended Ocracoke School since kindergarten. She enjoys riding around the island with friends, drawing, and going to the beach. This fall, the 18 year old will attend Elizabeth City State University and pursue a degree in business administration. Lupita will be reading The Roll of Honor during the official military ceremony. 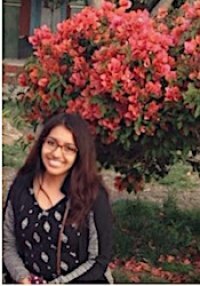 Iris A. Trejo, 18 years of age is a senior at Ocracoke School. Iris enjoys going on walks with her mom and going to beach. She plans on going to school in the fall of 2018 at Miller Motte. She wants to get a certificate as nail technician, and believes Ocracoke needs a nail salon. She says she will miss everyone and is ready to face new challenges! Iris will be welcoming guests and passing out programs for the British Cemetery ceremony.